Traveling to an exotic destination is not just about swimming in the turquoise waters or sunbathing. You also have to taste some of the cuisine and sample some of the exotic fruits of the place. For those hot summers when you need something refreshing, we have collected 10 tropical fruits you absolutely must try. Coming from an evergreen tree, the Rambutan fruit resembles the Lychees, have a leathery red skin and are covered with spines. 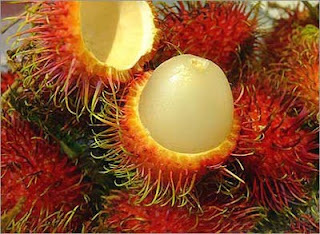 Rambutan is a popular garden fruit tree and one of the most famous in Southeast Asia. 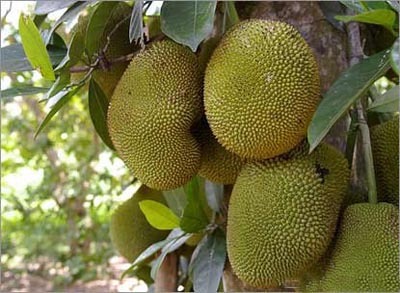 The fruit is sweet and juicy, being commonly found in jams or available canned. Jackfruit is a common fruit for Asia and Australia and considered as one of the largest tree borne fruit in the world. The juicy pulp around the seeds have a taste similar to pineapple, but milder. Apart from canned jackfruit, it is also available as sweet chips. The wood of the tree is used for making various musical instruments, while the fruit is a common ingredient for many Asian dishes. The passion fruit has a soft, juicy interior full of seeds, being commonly found in juices to boost their flavors. 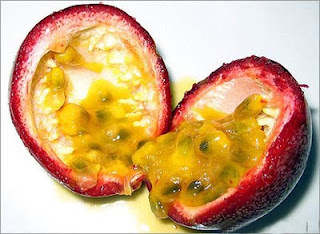 There are two types of passion fruit: the golden one (maracuyá), similar to a grapefruit and the dark purple passion fruit (gulupa), comparable in terms of size with a lemon. However, the latter ones have been reported as being mildly poisonous. 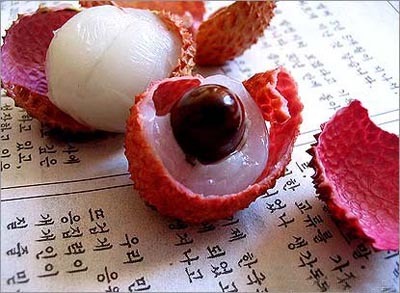 Coming from an evergreen tree, the lychee or litchi are small white flesh fruits, covered in a red rind, rich in vitamin C and with a grape-like texture. The fruit has started making its appearance in markets worldwide, refrigerated or canned with its taste intact. The star fruit comes from the carambola, a species of tree with pink flowers grown even in the US. The golden-yellow fruit is crunchy, sweet, with a taste of pineapples, apples and kiwis combined. 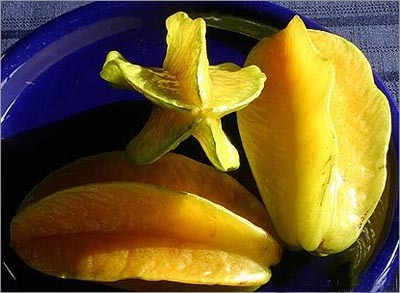 There are two kinds of star fruits – acidulate and sweet, both rich in vitamin C. The fruit is particularly juice, some even making wine out of it. Native to the Sunda Islands and the Moluccas. 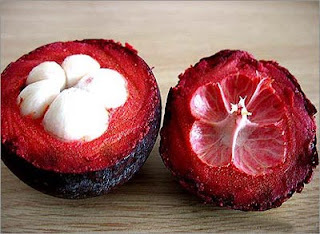 The mangosteen is another evergreen tree that produces oddly shaped fruits. The fruits are purple, creamy, described as citrus with a hint of peach. It is rich in antioxidants, some scientists even suggesting it can lower risk against certain human diseases, such as cancer. There are even legends about Queen Victoria offering a reward to the one that brings her the fruit. 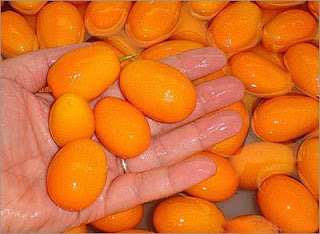 The kumquats or cumquats are small edible fruits resembling oranges that grow in a tree related to the Citrus. As with most of the fruits in the Citrus family, the kumquats are eaten raw. They are often used in marmalade and jelly but also in alcoholic drinks such as liquor. The Taiwanese add it to their teas, while others boil it and use it as a remedy for sore throats. Also known as the "King of Fruits," Durian has a very particular odor, a unique taste and is covered by a hard husk. 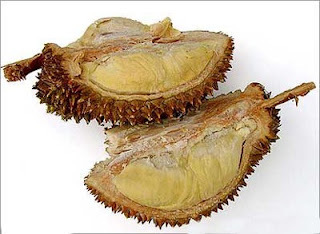 Having a disagreeable smell, compared to skunk spray or sewage, the fruit is forbidden in hotels and public transportations in Southeast Asia. Still, the whole experience is worth it, considering the absolutely divine taste of the Durian. 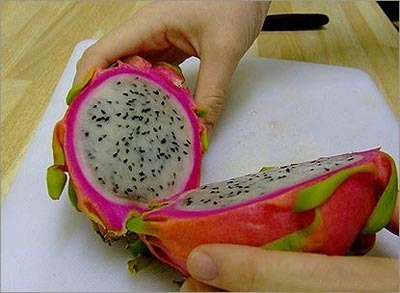 Dragon fruit, strawberry pear or pitaya is a fruit of several cactus species with a sweet delicate taste and creamy pulp. The most common dragon fruit is the red pitaya, but other varieties include the Costa Rica pataya and the yellow pataya. Juice or wine can be obtained from the fruit, while the flowers can be eaten or used for tea. 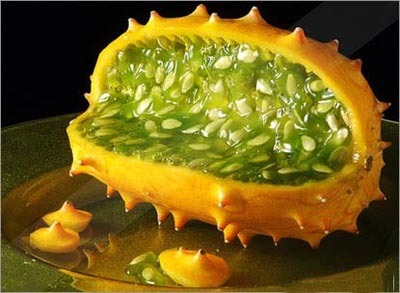 The African cucumber, horned melon or melano is a fruit that can be best described as melon with horns. It originated in the Kalahari Desert and is now present in California and New Zealand. The dark green pulp reminds one of bananas, limes, passion fruit and cucumber. It is often used for decorating food but also in smoothies and sundaes.